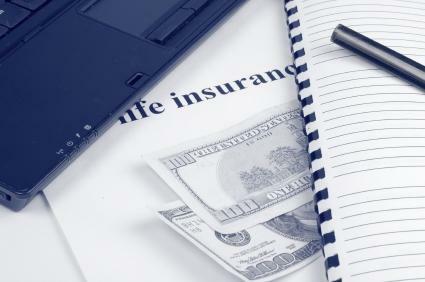 Since whole life insurance or variable life insurance policies can be worth a significant amount of cash to the policyholder, you may wonder how to check values of old life insurance policies. Luckily it is pretty easy to do, especially if you can still get your hands on at least some of the paperwork. There are several reasons why you may want to take advantage of this fact. First of all, even if you haven't paid premiums on the policy for a while, it's possible that the policy hasn't lapsed. If it hasn't, you may be able to either take out a loan on the policy or redeem it for its cash value, whichever is more beneficial to you. If the policy has lapsed, you might be able to reinstate it, especially if it has lapsed for less than five years, thus allowing yourself to further increase its worth and to take advantage of lower premiums than you would end up paying today if you began a new policy. The easiest way to answer the problem of how to check values of old life insurance policies is by contacting the company that issued the policies. If you have the paperwork handy, look at the front page, which is also known as the declaration page. The issuer's name should be listed there. If you're missing that page you may have to do some detective work, but you should be able to figure it out using your name and policy number. Once you find it, you can simply call the customer service number and inquire about an in-force illustration. An in-force illustration is a computer generated chart mapping the gains on your policy since you originally purchased it. Once you have the document, you can check the values of the policy by year. The current year's value is what it is worth right now. If you can't get access to an in-force illustration, there is an additional document that may be able to help you. Request an end of year insurance statement. If your policy has a cash value, it should be listed here. The amount you are looking for will be labeled the surrender value, which means how much money you'll get if you essentially turn the policy in. With a whole or variable life policy, you don't have to wait until the policyholder's death to obtain the money, in most circumstances. To find out for sure, you need to read the underwriting paperwork. Once you determine that you can cash in the policy, you should visit your insurance agent in person, if at all possible. After you have filled out the required paperwork, you should receive a check in the mail. Before deciding to cash out a life insurance policy, be aware that you could be losing an investment. Since some life insurance policies become more valuable every year, this is not a decision that should be taken lightly. You could end up losing out on substantial dividends if you cash it out before you need to, even if you do end up with a good one-time windfall.